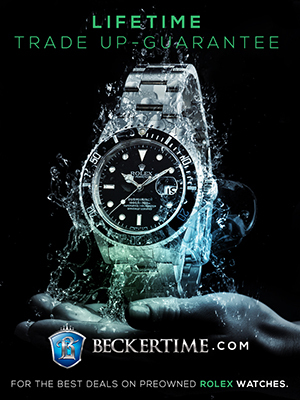 The Timeless Tool-Watch That Transcends Time!!! 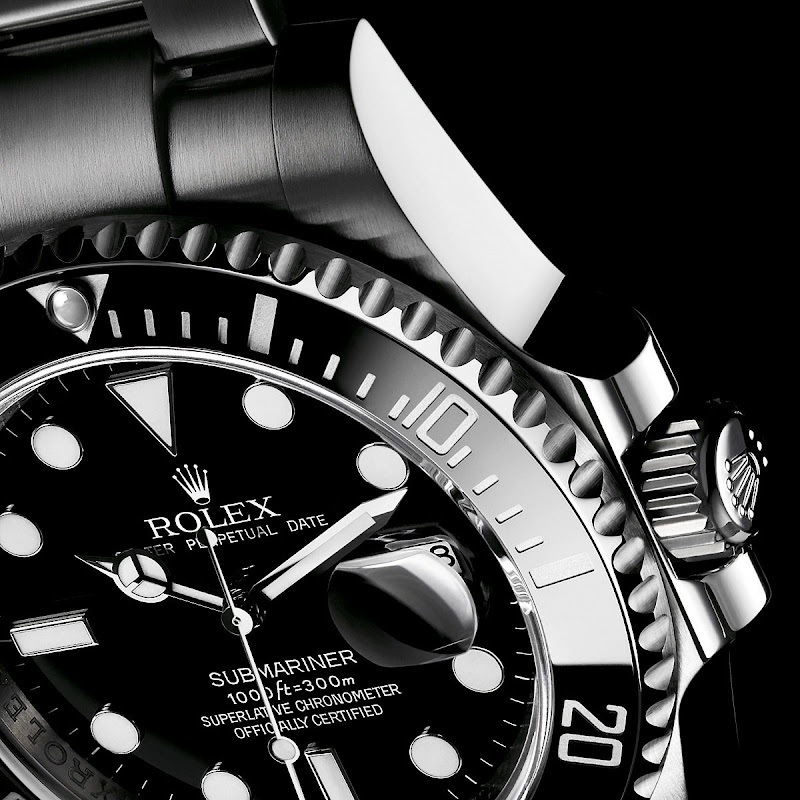 Today in Basel, Switzerland at BaselWorld, Rolex introduced the long-awaited, all-new stainless steel Supercase Submariner which offers many innovative features. 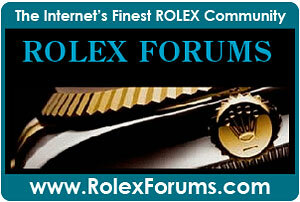 Rolex introduced the very first stainless steel Submariner to the public at BaselFair in 1954 to critical acclaim. Rolex was actually testing the Rolex Submariner in 1953 as witnessed in the photo below of Aquatic pioneer, Jacques-Yves Cousteau which was taken during filming of his seminal landmark documentary named The Silent World. 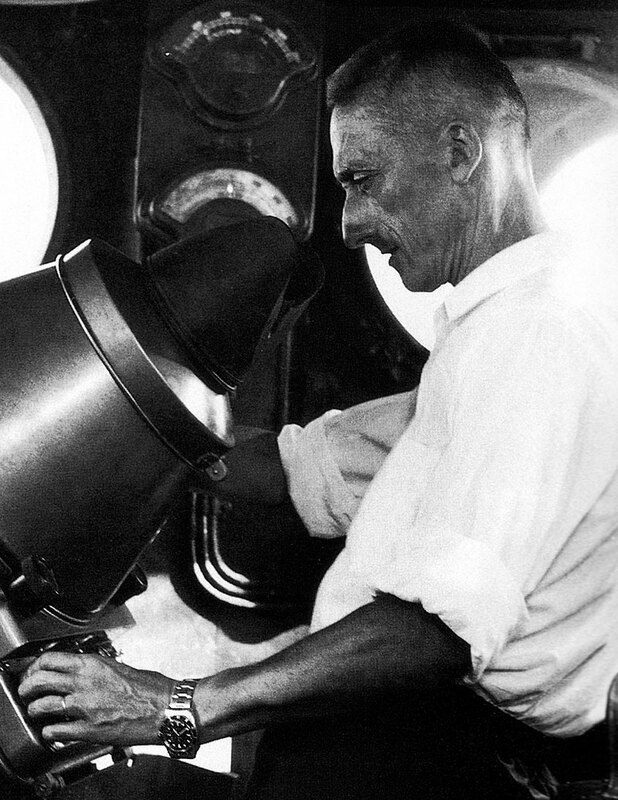 Jacques Cousteau is pictured below on-board his beloved Calypso research ship in 1953 while filming in the Mediterranean Sea and notice he is wearing an early Rolex Prototype Submariner which is the great-great grandfather of the all new Supercase Stainless Steel Submariner that Rolex introduced in Basel, Switzerland at BaselWorld today!!! 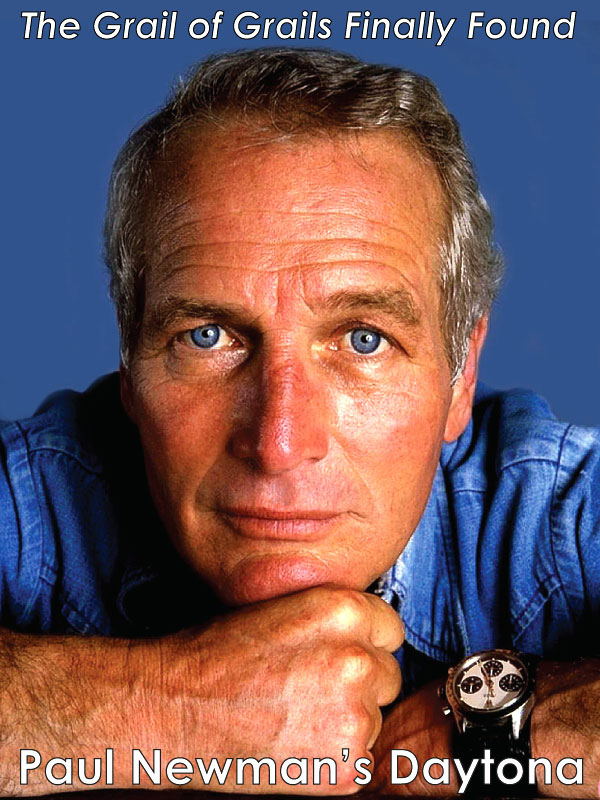 First of all, it is the first photo I know of that was taken of anybody wearing a Rolex Submariner, and secondly, Jacques Cousteau basically introduced the world to the Rolex Submariner when he and his Calypso diving team members wore them while filming The Silent World, thus I think it is apropos to have him once again, introduce the all-new Rolex Submariner!!! Also, Jacques-Yves Cousteau basically pioneered the world of SCUBA Diving which the Submariner tool watch was specifically designed and built for!!! Welcome home baby!!! 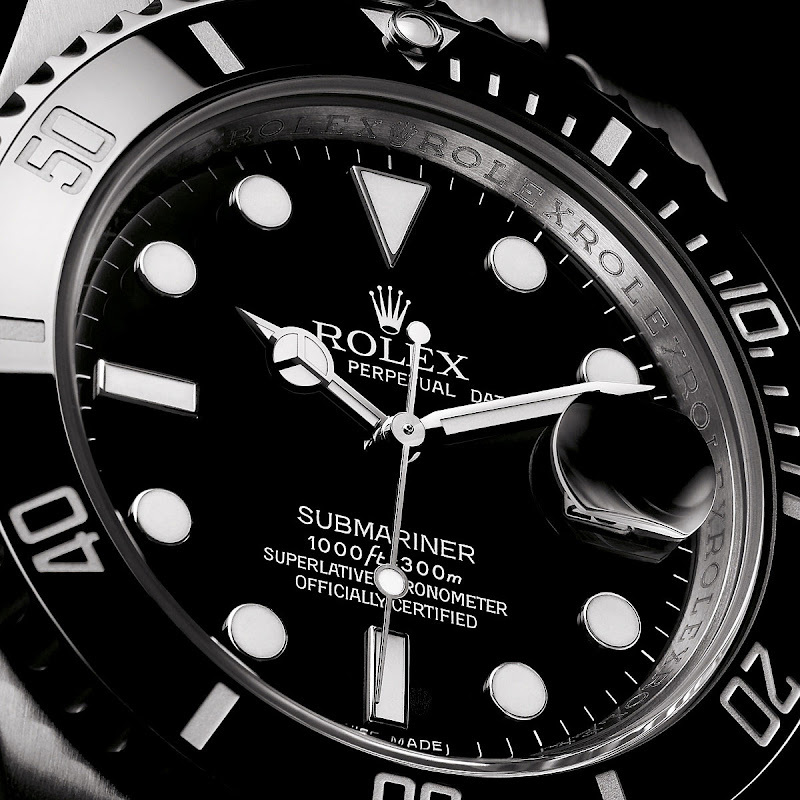 The Rolex Submariner is one of the most timeless designs in the world. 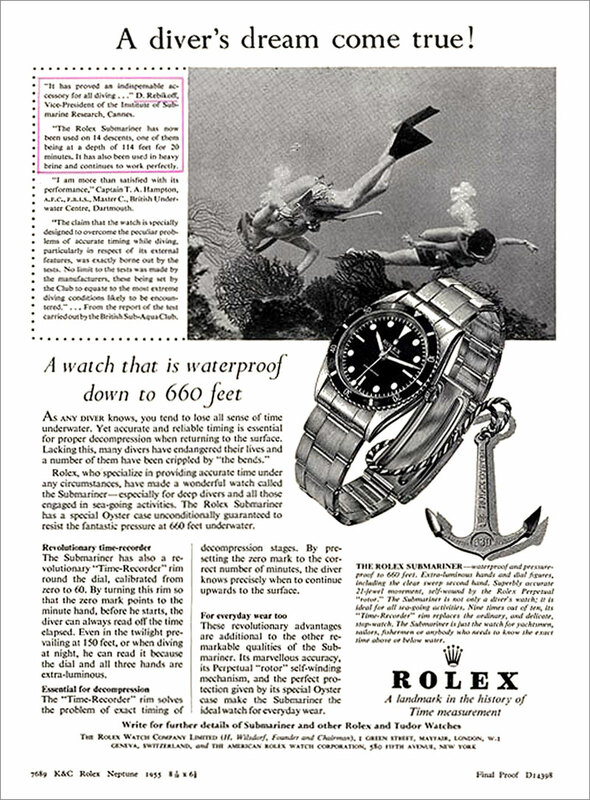 Rolex has very carefully evolved its design over the last 57 years and it's remarkable how similar Jacques-Yves Cousteau's 1953 Rolex Submariner is to the all-new Supercase Submariner!!!! An Amazing Step Closer To Absolute Perfection!!!!! 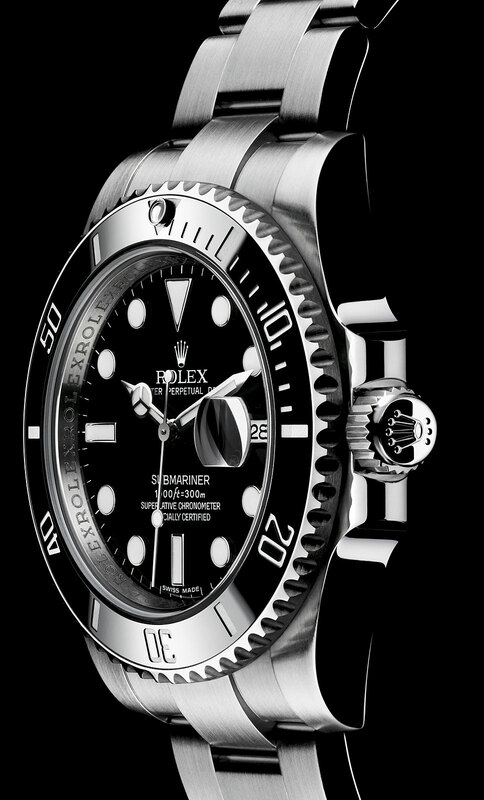 The Rolex Submariner is the most iconic sports watch in history and this all-new model is just amazing!!! 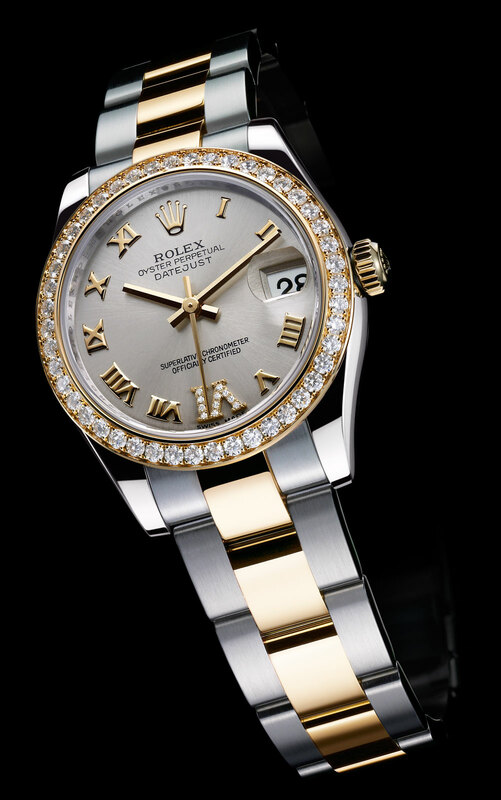 It brings back the vintage Maxi-Markers and ads fat hands as well as a ceramic bezel insert and perhaps most important of all, the super innovative Rolex Glidelock bracelet which is pictured at the bottom of this story. 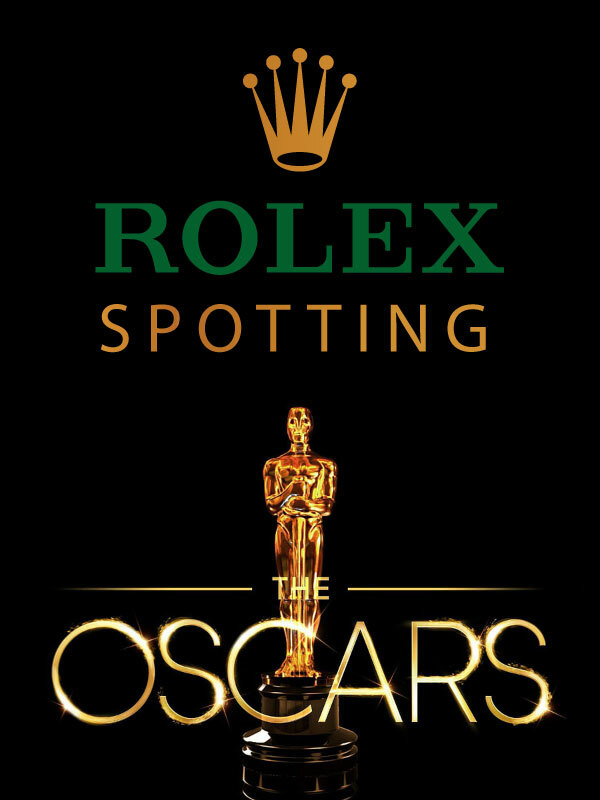 It is also important to note that Rolex made a bold and intelligent move to retain the satin-finished (brushed) center links on the all-new Rolex Submariner, thus recognizing and respecting its tool-watch nature. Timeless and impervious to the elements, it is today available in a steel version sporting new features. Its 40 mm case in 904L steel, synonymous with robustness, waterproof-ness and corrosion resistance, boasts a new rotatable bezel fitted with a practically scratchproof black Cerachrom insert —or green for the model with the green dial—with platinum graduations. As much in its element in the penumbra of the ocean floor as in the soft light of sophistication, this new Submariner Date offers exceptional legibility thanks to hour markers and hands coated with luminescent Chromalight. Its mechanical movement equipped with a Perpetual rotor and a Parachrom hairspring pledges increased chronometric precision and reliability. 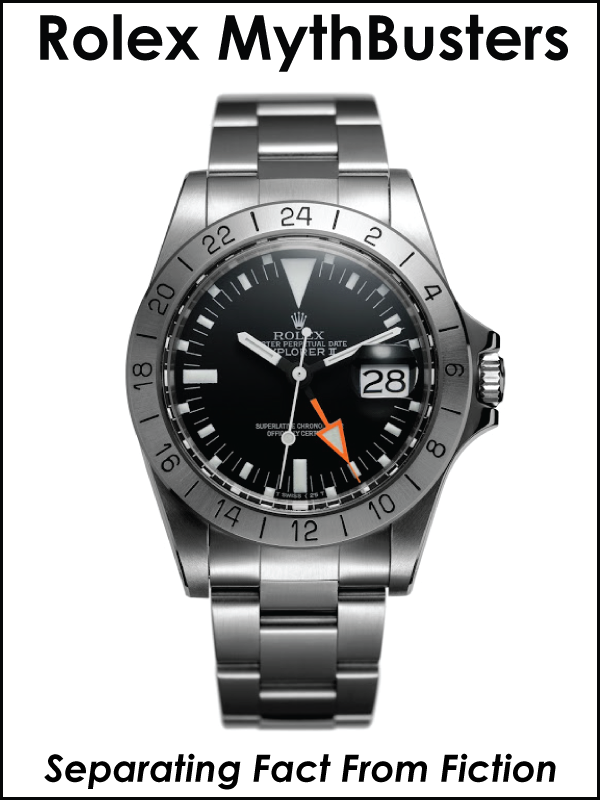 Its unidirectional rotatable graduated bezel allows the safe reading of dive time. 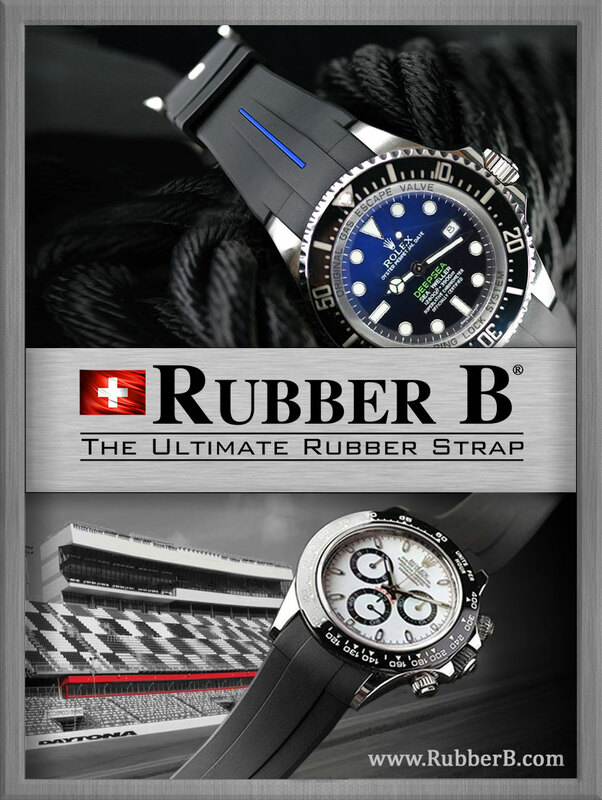 The all new Rolex Submariner LN and LV both feature the extremely innovative Rolex Oyster Glidelock Bracelet which allows the wearer to easily micro-adjust the bracelet without even having to take the bracelet of their wrist–and this all happens without tools. 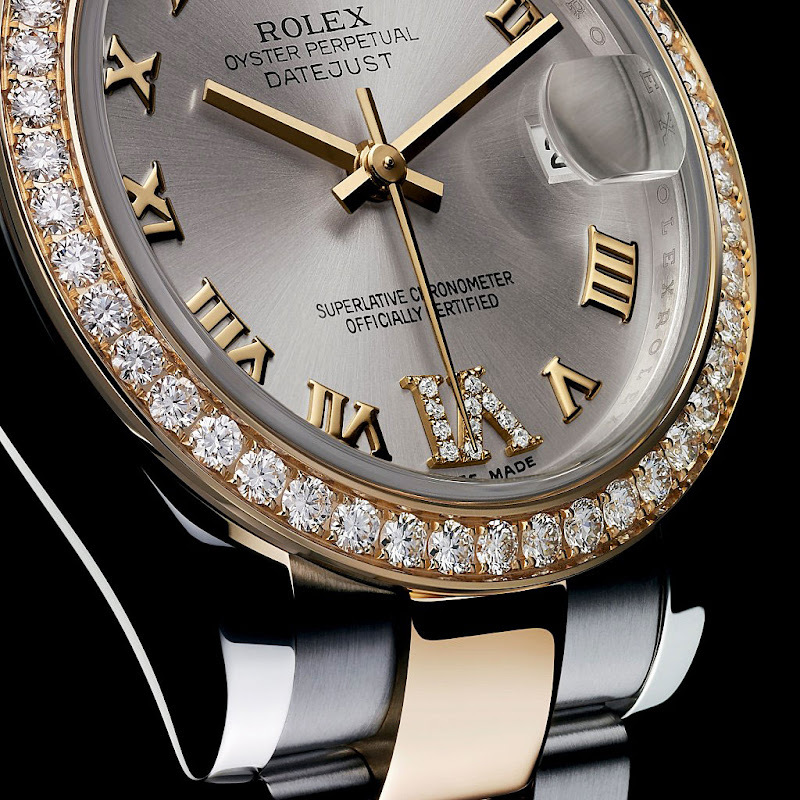 This incredible feature is also extremely beneficial for Rolex Authorized Dealers when they have the watch on display in the store, because if a customer wants to try the watch on, the salesman can instantly customize the Rolex Oyster bracelet to fit their wrist perfectly. Prior to the Glidelock bracelet, a potential purchaser would have to put a watch on their wrist with a bracelet that was way too big and they would have to hold it closed to fit their wrist. 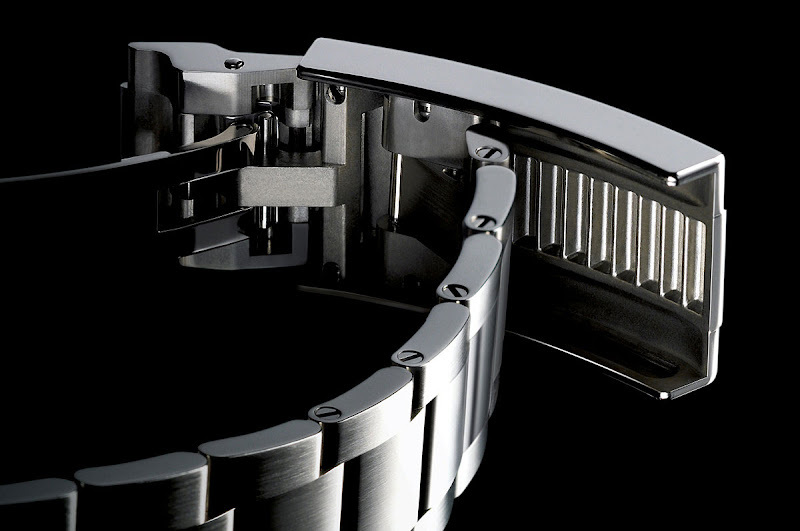 The Glidelock is an design, engineering and manufacturing marvel that is a magnificent Rolex innovation. 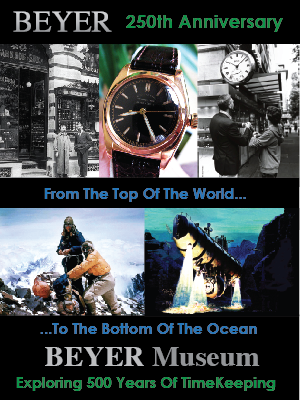 As Rolex mentioned, The Rolex Submariner not only dominated the aquatic world, but also on terra firma (dry land) as well as flying through the heavens at speeds faster than sound. We see Chuck Yeager below sporting his Rolex Submariner Big Crown [Reference 6538] in 1956, at the beginning of the Space Race when he commanded the U.S. Air Force Aerospace Research Pilots School where he trained pilots for the United States Space Program. 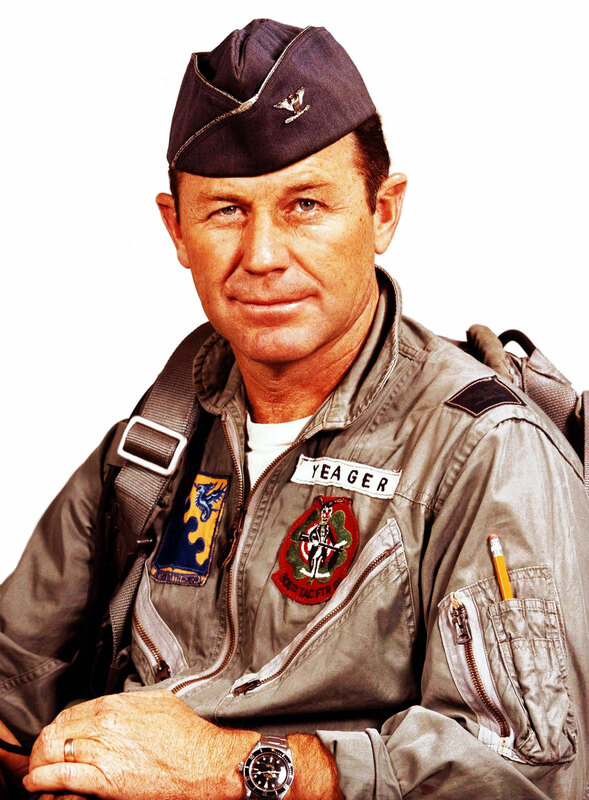 Despite the fact that Chuck Yeager was an ultra-succesful test Air Force pilot he did not go onto NASA to become an astronaut, but he personally trained almost half the future NASA Astronauts who participated in the pioneering NASA Gemini, Mercury and Apollo programs which culminated in landing a man on the moon and safely returning him to earth. 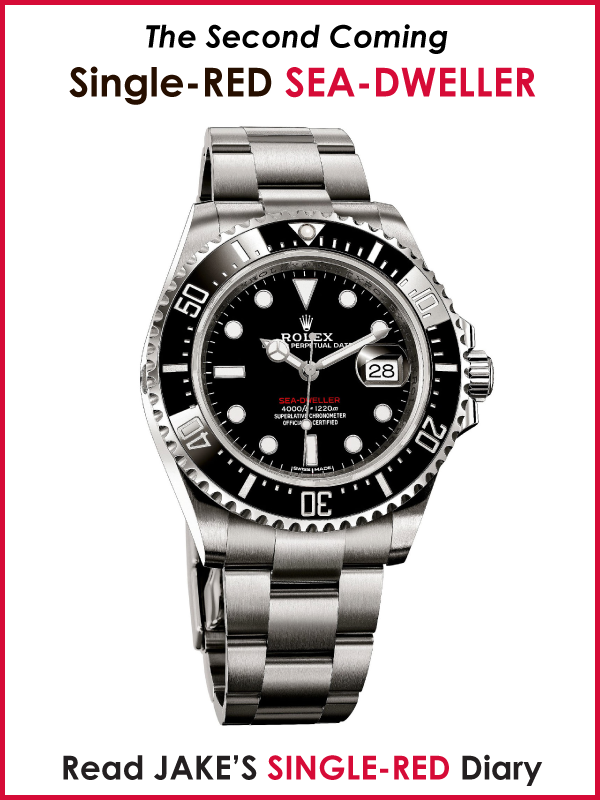 The Rolex Submariner has remained very popular for more than the last half-century, but the Submariner also proved itself as the ultimate tool watch for divers and actual Submariner's. 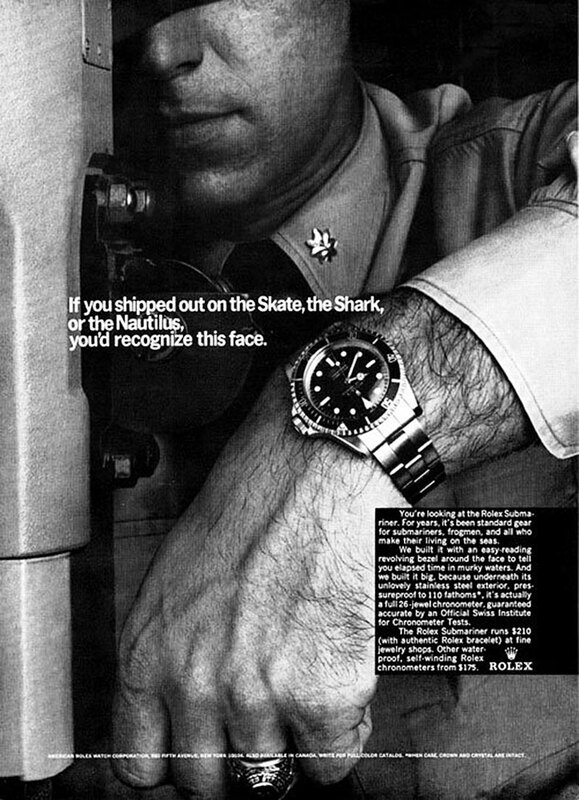 We see a Rolex ad from 1967 below showing the Submariner as a tool watch. 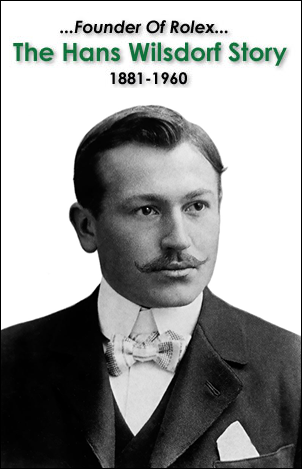 The Submariner was also the father of the Rolex SEA-DWELLER which was co-developed between the U.S. Navy SEA-LAB program and Rolex. The result of which was a tool watch that allowed divers to descend even deeper into the oceans. 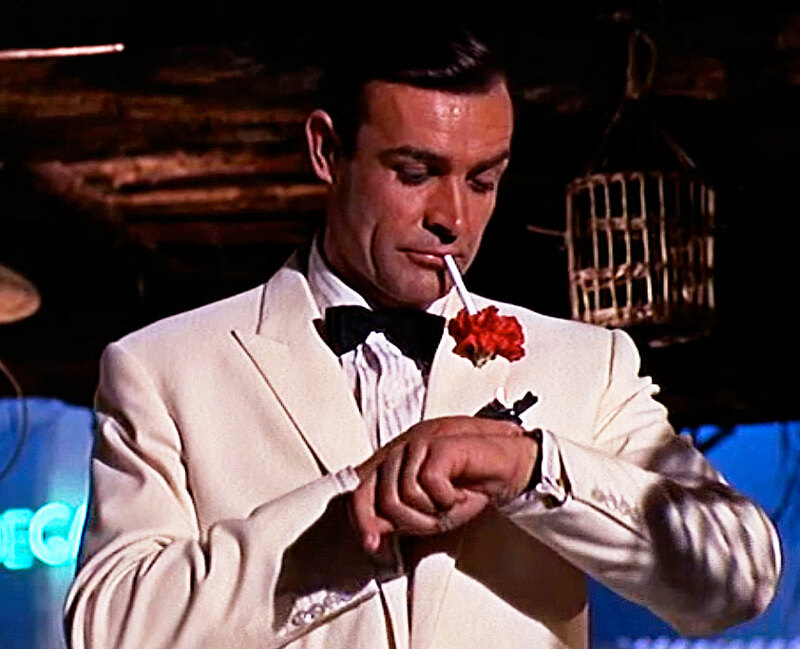 Sean Connery played James Bond and wore his Rolex Submariner in the first James Bond film, Dr. No in 1962, and again in 1964 he reprised his role as the British Super-Spy in Goldfinger where he wore his Rolex Submariner. 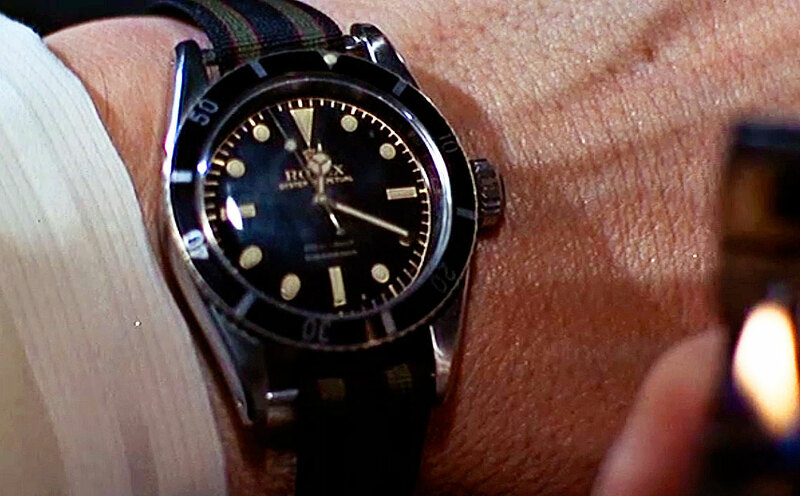 The following screen shot shows Sean Connery's Big Crown Rolex Submariner on a regimental nylon strap. 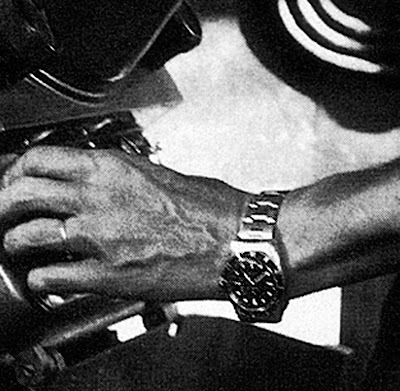 This close-up of James Bond's Rolex made the Rolex Submariner the must-have cool watch and helped to further popularize it in the mid 1960s. 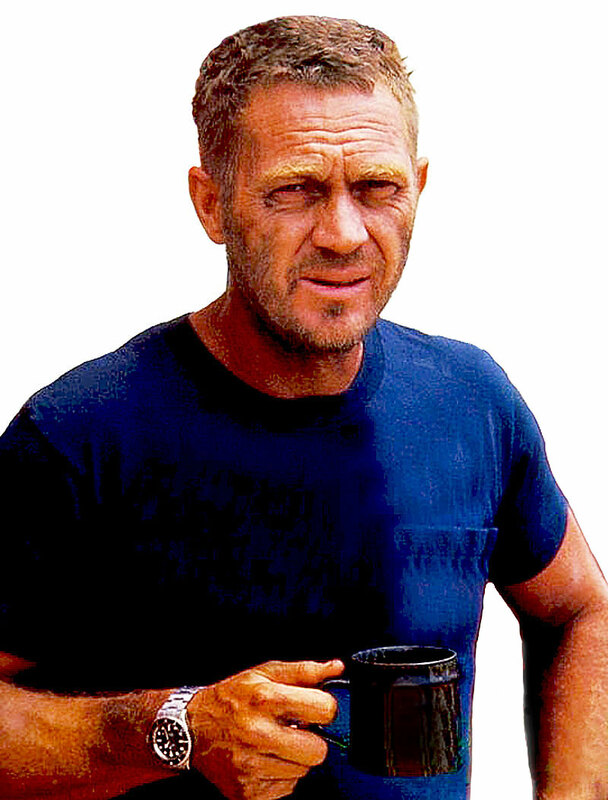 The Rolex Submariner has remained very popular in Hollywood movies ever since Sean Connery wore his when he played James Bond, but the interesting thing is that many famous actors wore them as their personal everyday watch like Steve McQueen pictured below sporting his trademark Rolex Submariner [Reference 5512]. 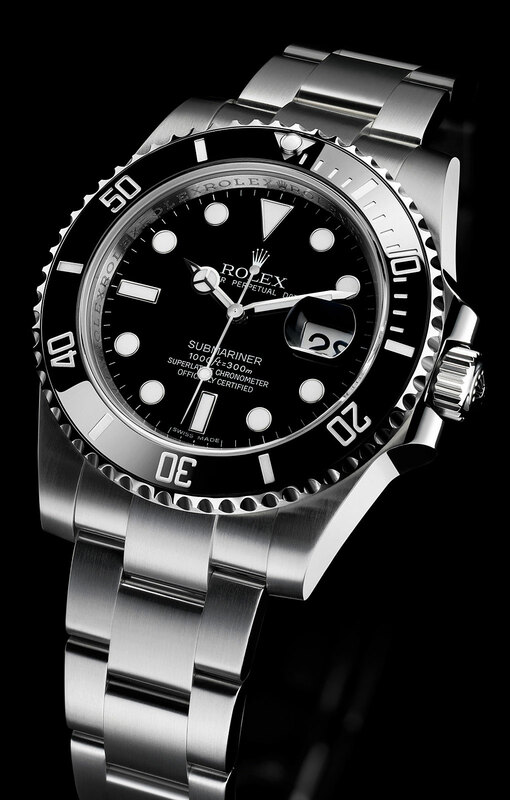 The Rolex Submariner has developed a legacy of not only being the ultimate tool watch, but also the ultimate timeless, cool, macho sport watch!!!! 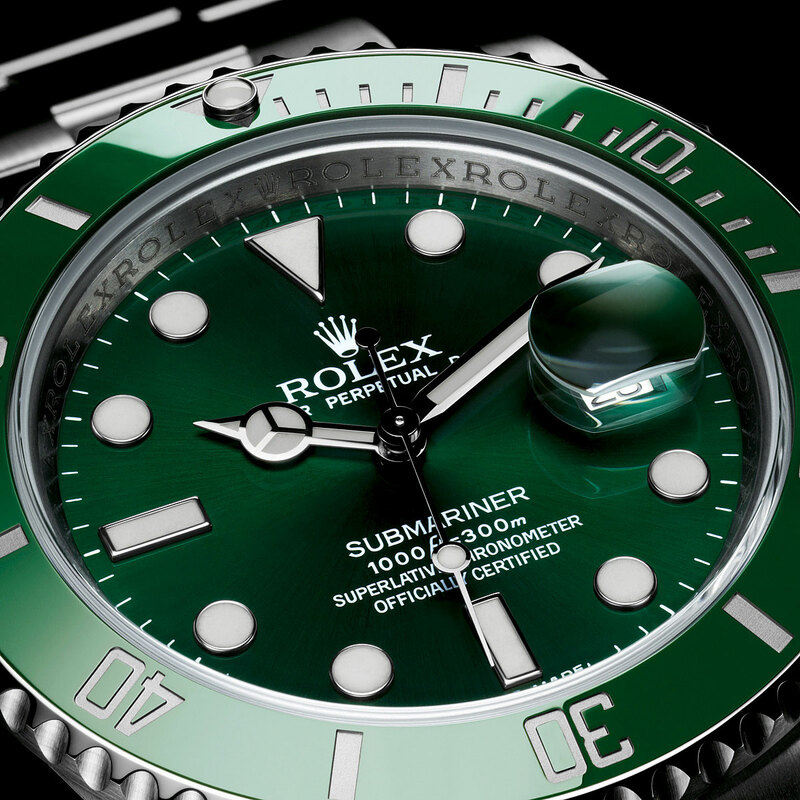 Today at BaselWorld in Switzerland, in addition to the standard black Rolex Submariner, Rolex introduced an all-new Submariner LV with a green ceramic bezel insert and a green gold dial. 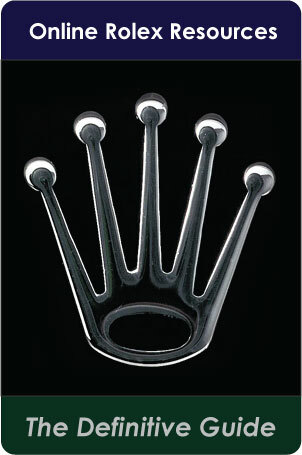 This watch features the great Rolex Glidelock Bracelet. 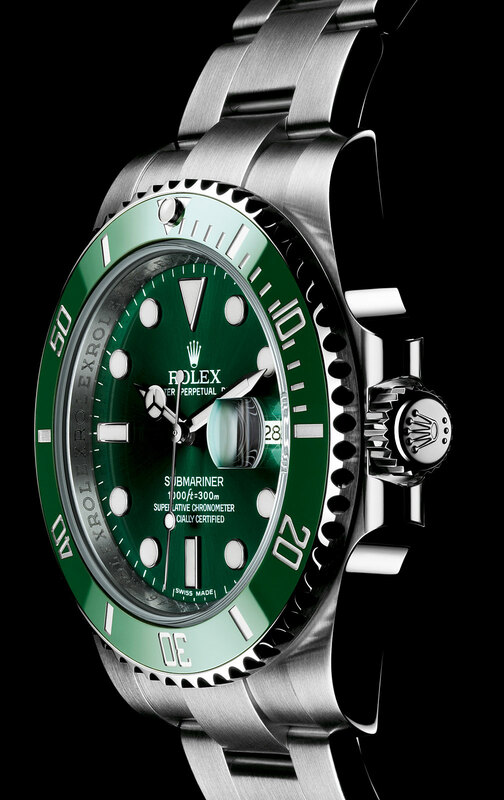 I am officially dubbing this new green on green Submariner as the 7UP Submariner ;-) Its green dial is actually green gold, which is composed of gold mixed with aluminum to achieve the special shade of dark green. 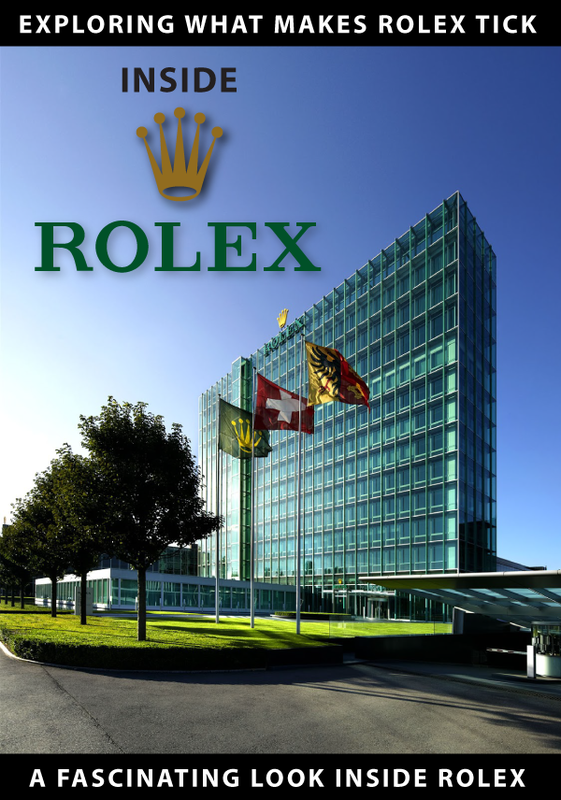 Rolex actually produces the dials themselves in their foundry. 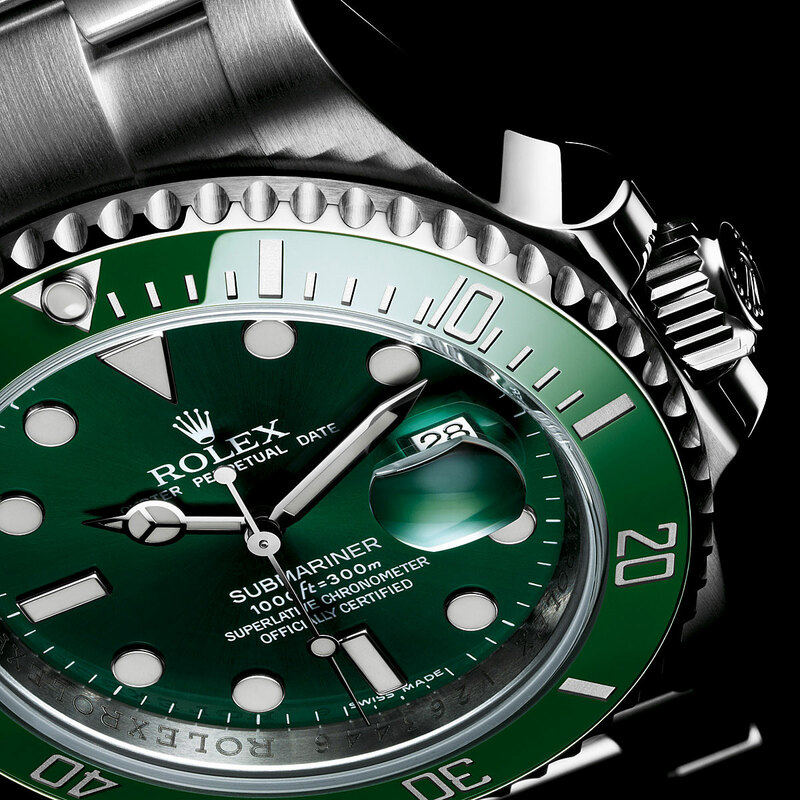 One of the interesting features of both the black and the green Submariner models is the all-new ceramic bezel insert that has white-gold inlaid numbers which give the bezel a much more 3 Dimensional look, much more like the bezel insert on the Rolex Yacht-Master. 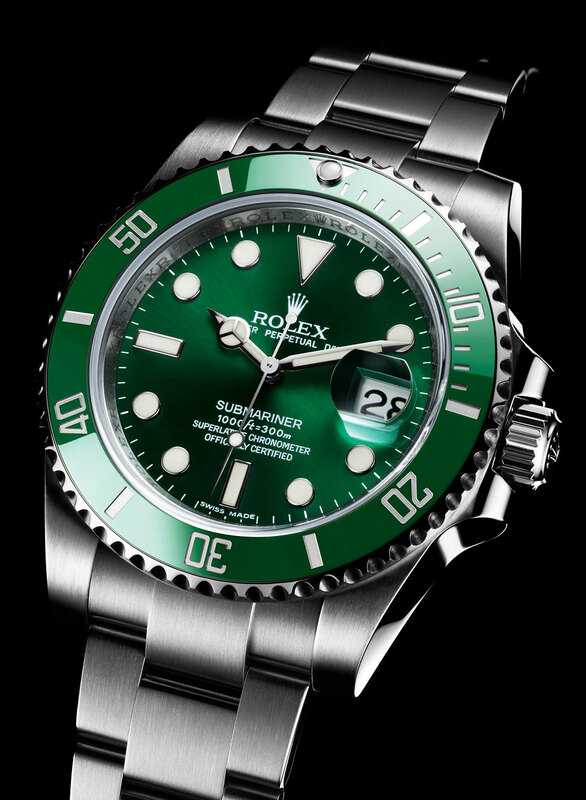 The green Submariner should be priced about $400 more than the black version and should cost around $7500 in U.S. Dollars. It should also be available for purchase in July.